A: It’s a house. Well, an apartment, if you like, but there’s an upstairs (the bit where you walk in) and a downstairs (presumably, underground). The upstairs bit has a kitcheny bit and a dining bit, and the downstairs bit has a bedroomy bit (bunk) and a shower. A: There isn’t one. This is Balmora: you can poop in the bucket like everyone else. Q: How come I can just walk right in and take this swank crib? A: It belonged to your uncle* – you remember him? Adventuring Uncle Garas, who travelled all over Tamriel (until that thing with his knee). Consider this compensation for putting up with his rambling about “those immigrants” after too many sujammas on New Life Eve. He left you a note. Q: Why is there a master’s alchemy set in the bedroom? A: You own a two-floor apartment in the heart of the city; I think you can afford a fancy chemistry set. Q: If this house was owned by a grumpy old codger, why are there so many ‘feminine’ touches? A: That was the housekeeper, Alys. She ran off with a guar-herder. It was properly scandalous. Q: There’s a ruddy great rock outside the front door! Q: Why is it called Strider-Side Cottage? A: You can get a magnificent view of the silt strider when you’re hopping over the invisible rock that was previously blocking your front door. Q: Is it compatible with NOM? A: The shower has an nom_well_water script placeholder. If drinking from showers is your ‘thing’. A: The wizards did it. The answer to any of your other questions is ‘wizards’. Permissions: Feel free to upload/translate/incorporate into your own mod, don’t try to sell it, please credit me for my part. Unique Features: House-sit for absent mage in convenient location. Boat travel to/from Seyda Neen. A one-room apartment in the middle of the Imperial City. Unique Features: Fully redecorated with excellent location and pretty, overgrown exterior. Bathroom, bedroom, kitchen/dining area, storage, training area. House-sit for absent battlemage. 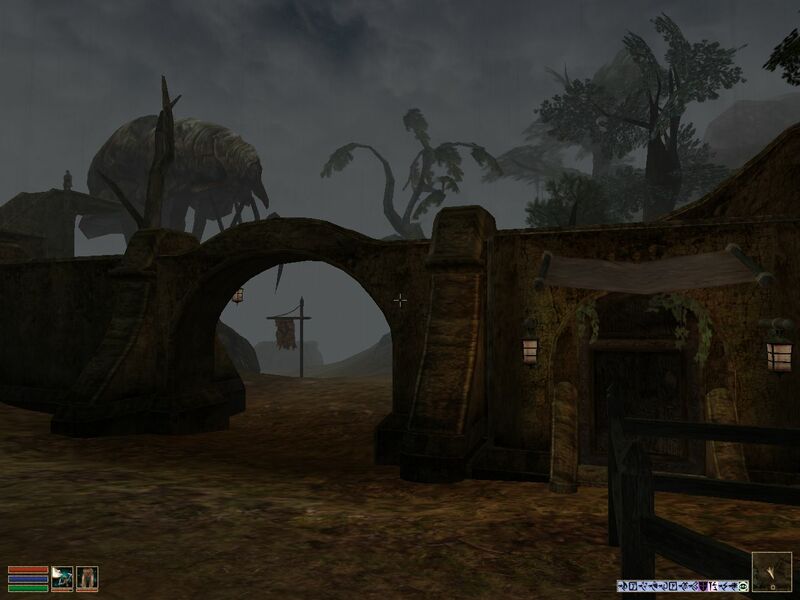 Adds an apartment to the Vampire TMB-inspired Seedy Almalexia District for Morrowind by Blake.